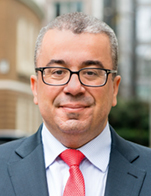 Apostolos Gkoutzinis is a leading international capital markets lawyer and a partner in the firm's Global Capital Markets Group in London. Apostolos has an exceptionally broad practice which covers several areas of international corporate and capital markets transactions including, leveraged finance, SEC-registered offerings, restructurings, recapitalizations and privatizations. He focuses primarily on U.S. federal securities laws, high yield debt offerings, and general debt and equity capital markets transactions. He ranks as one of the leading individuals in the European corporate bond market, with particular experience and expertise in high-yield debt financings, refinancings and leveraged buyouts for companies, private equity sponsors and investment banks. He is also known for his expertise in a broad range of liability management, restructuring and equity transactions. Apostolos is also one of the leading international lawyers in relation to Greece. In recent years, he has provided strategic legal advice to substantially all of the major banks and listed companies of the country, as well as private companies and foreign investors on matters relating to private and public capital, restructurings, refinancings, and other corporate finance transactions. Since 2005, has represented the issuers or the underwriters in most of the international and cross-border equity and debt offerings by Greek issuers. Apostolos holds an LL.M. from Harvard Law School, a Ph.D. and an LLM from the University of London, and is a national scholar of the Law School of the Aristotle University of Thessaloniki. He was a Banking Law Scholar for Greece's prestigious National Scholarship Foundation for the years 1999-2003 and a Fulbright Scholar at Harvard Law School for 2004-2005.